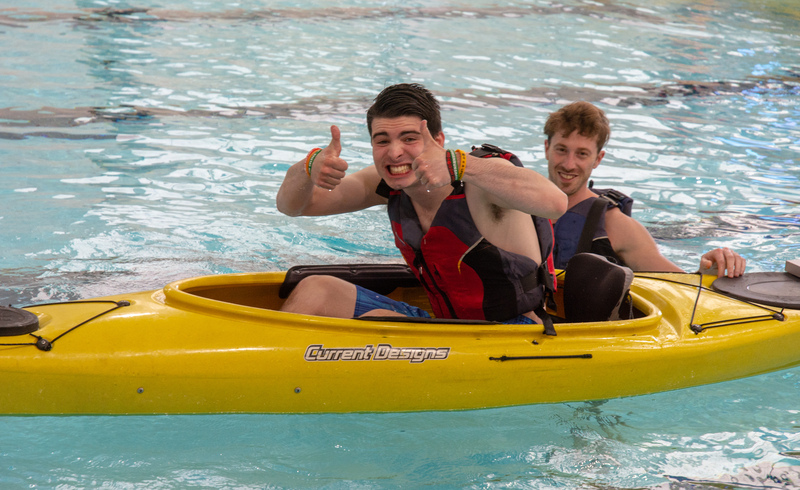 It’s encouraging to discover a community that embraces new opportunities so whole-heartedly. 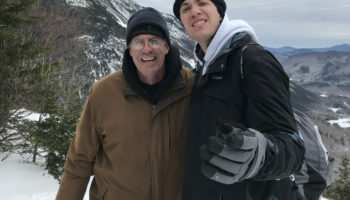 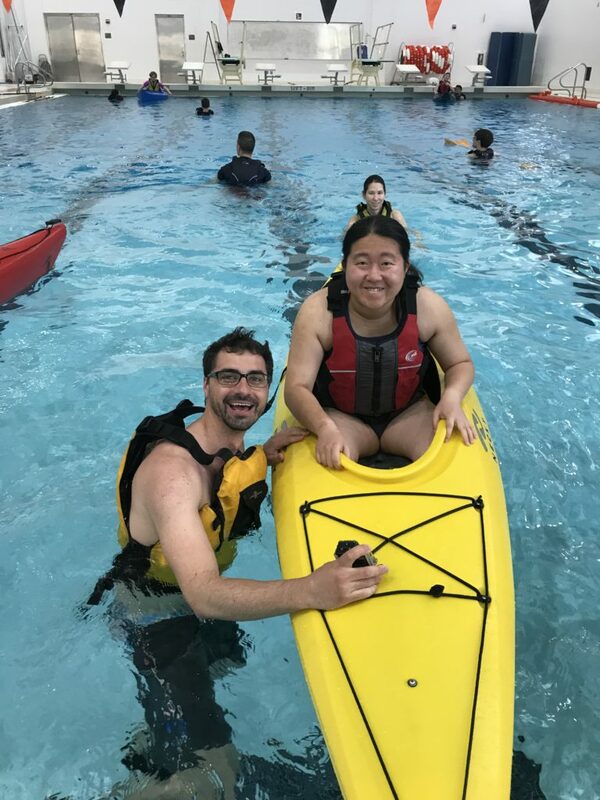 Teachers at Newton North High School have fully bought into the idea of adventure-learning and are pulling the strings to make it happen. 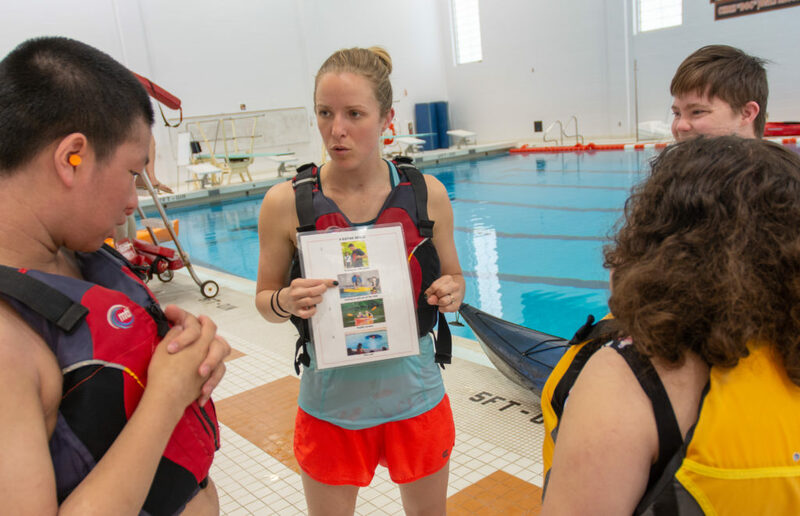 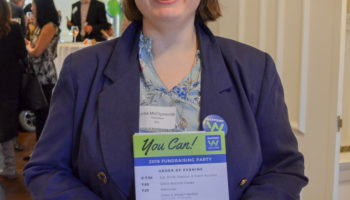 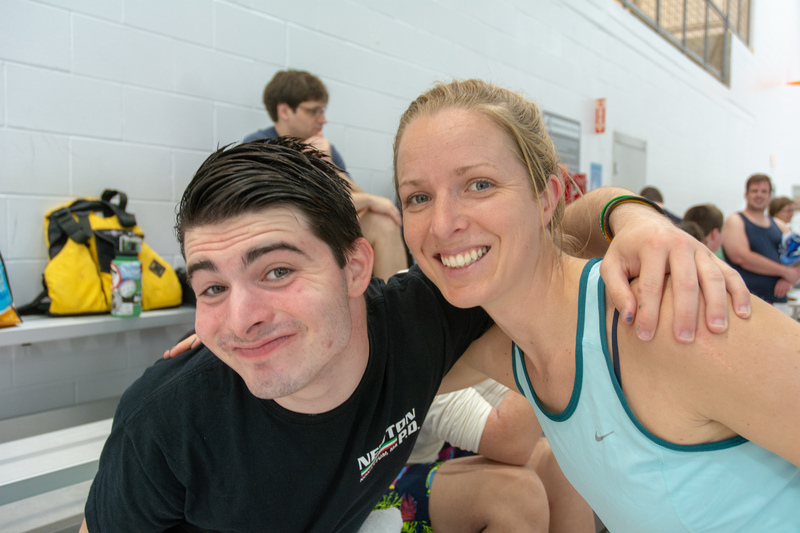 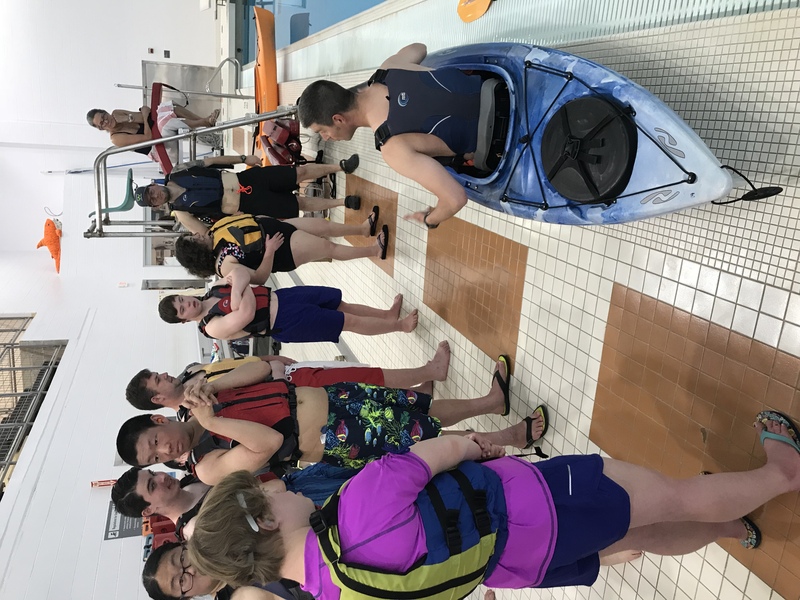 From allowing us to bring kayaks into the pool to providing life-guards for the program, to going into the community to seek funding, Newton North impressed us and the students followed cue. 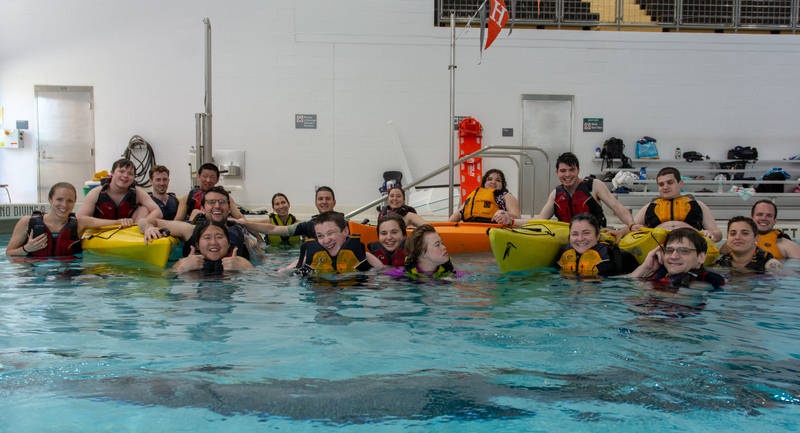 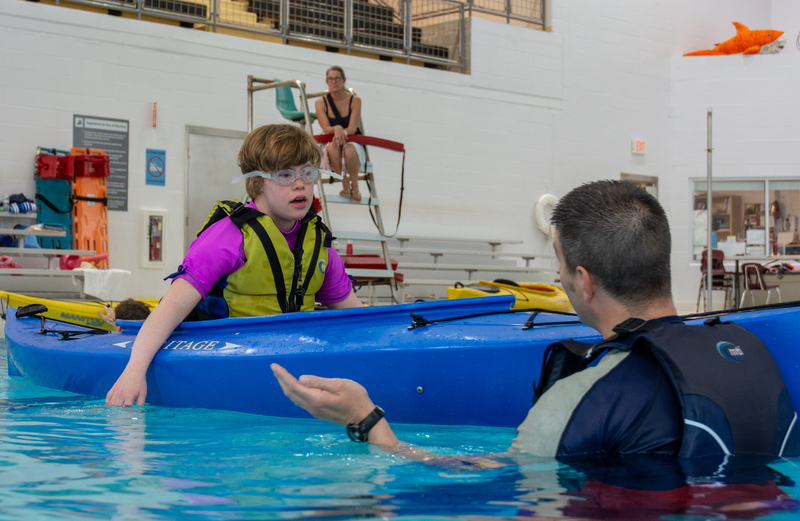 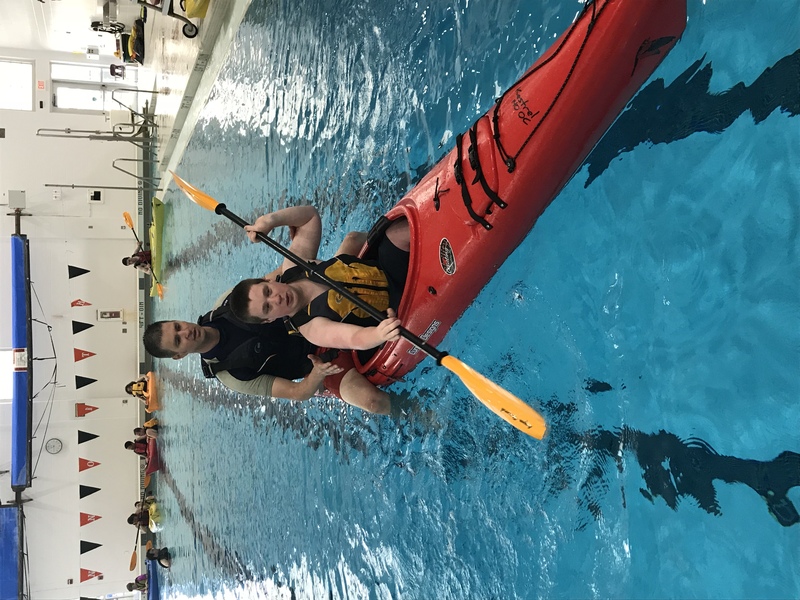 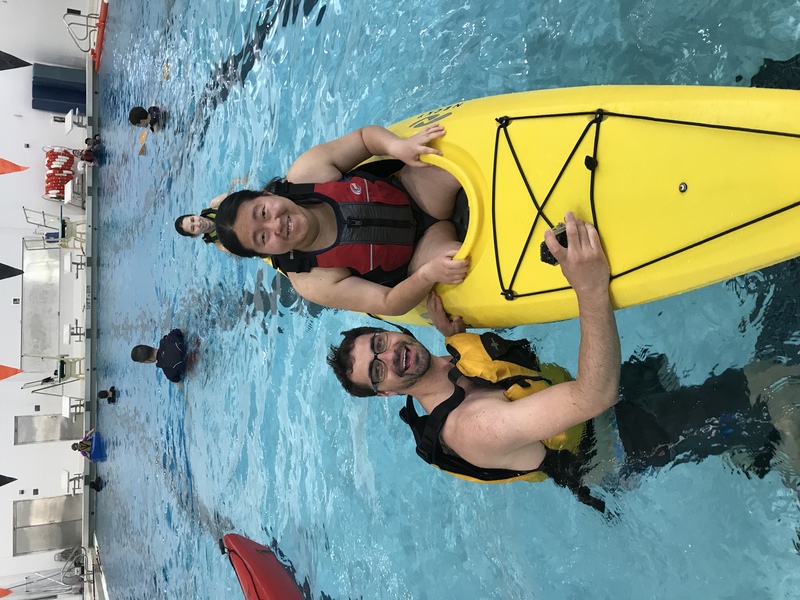 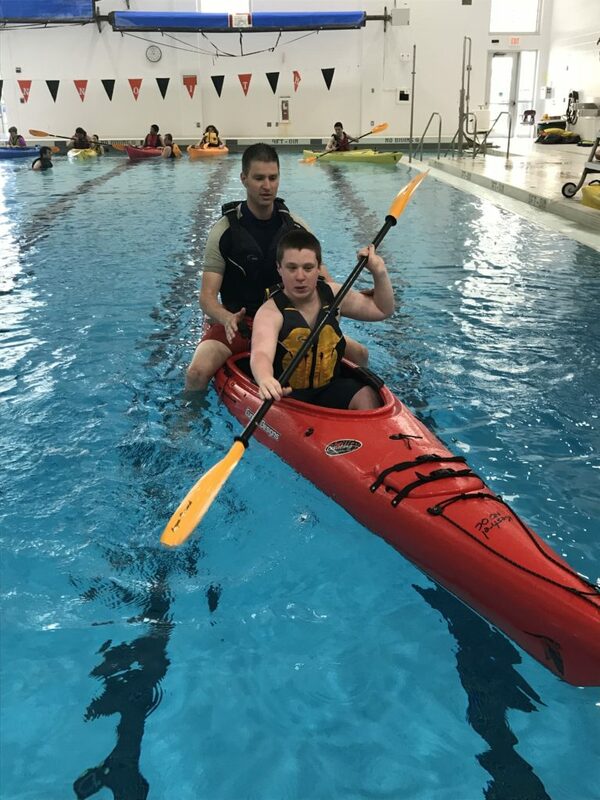 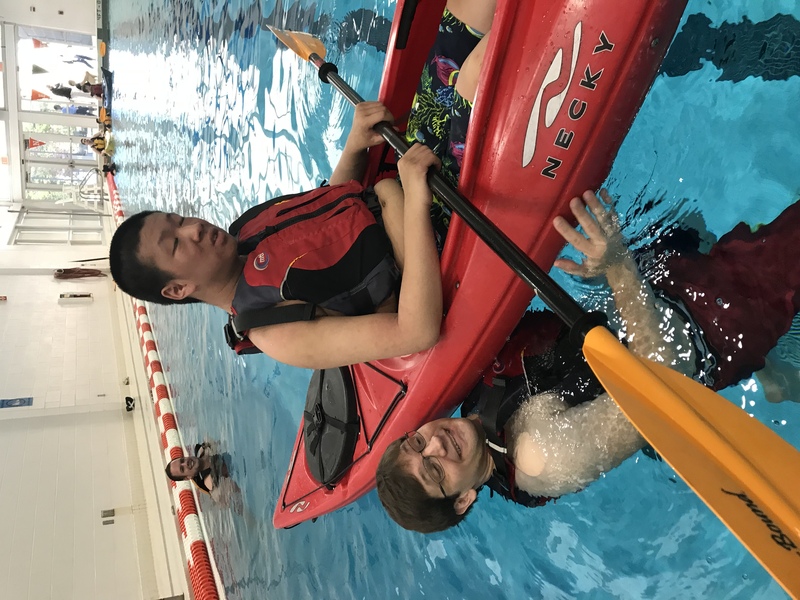 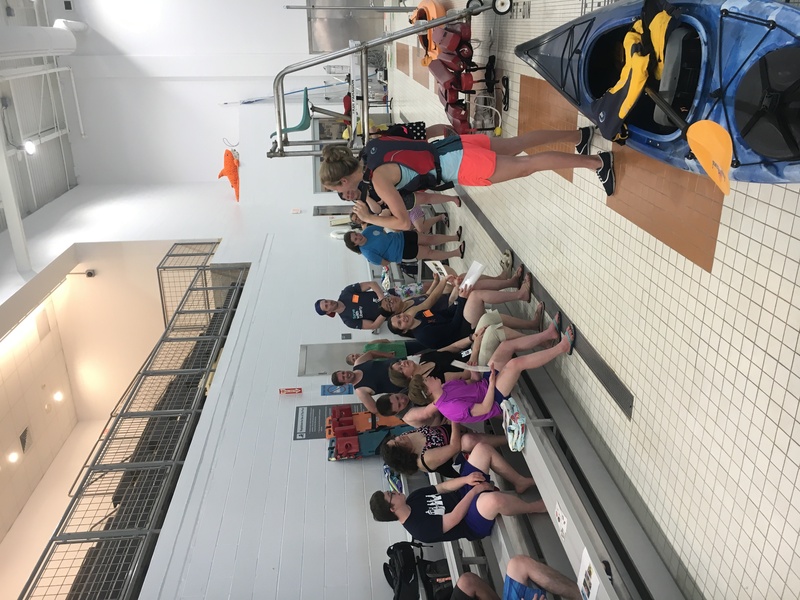 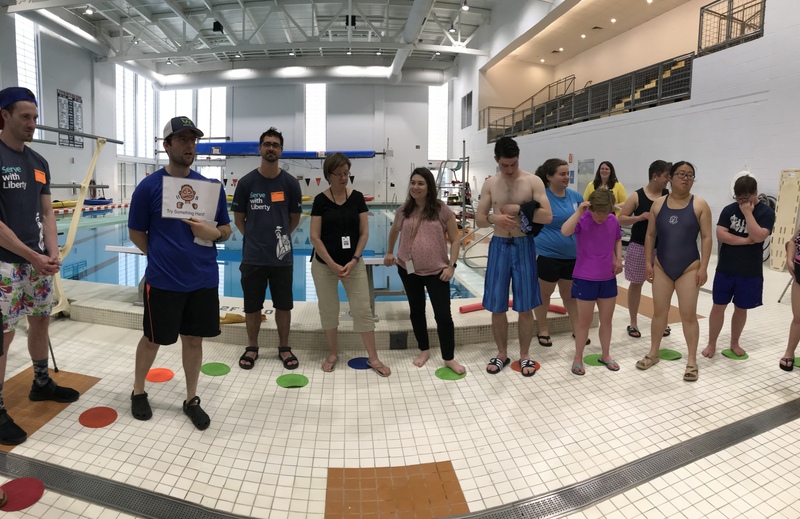 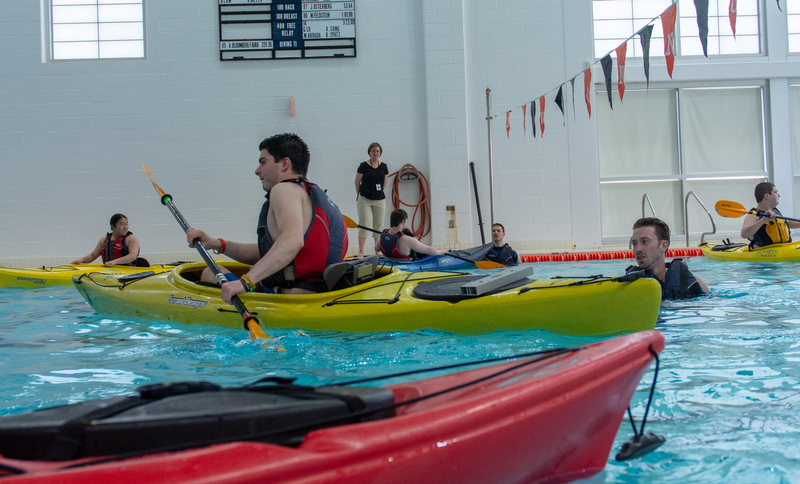 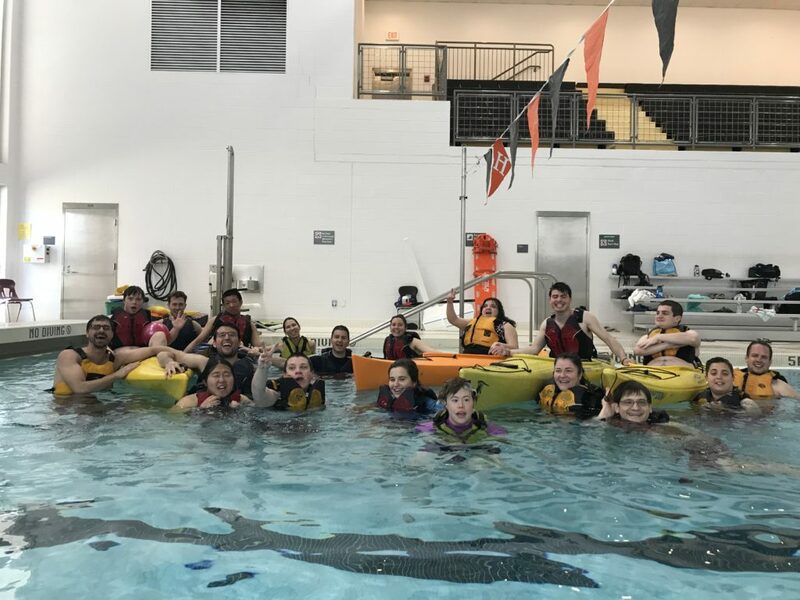 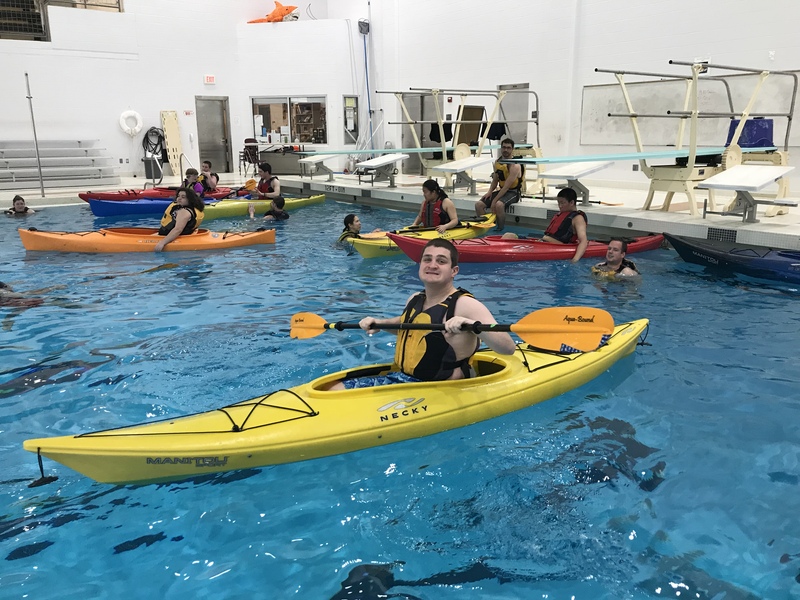 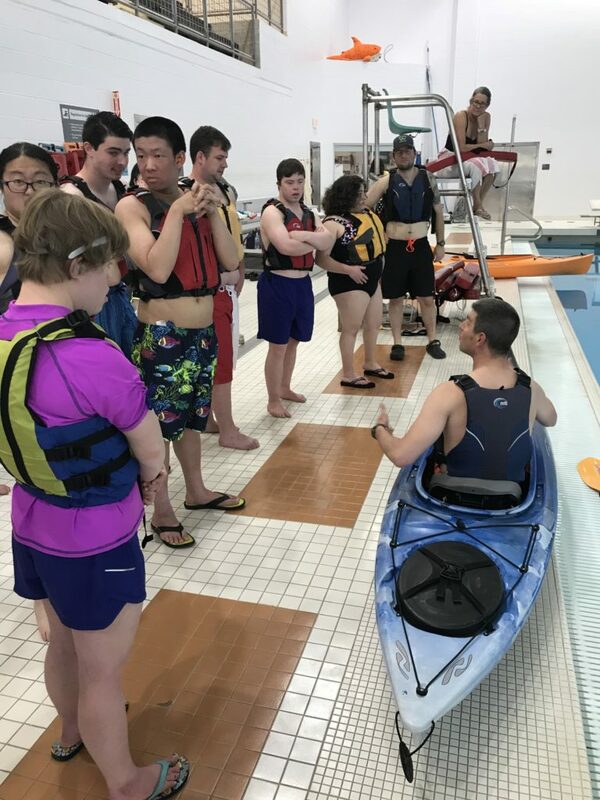 Nine students from the Community Connections program came to the pool to fully embrace the exciting but scary experience of trying something new – kayaking in a pool! 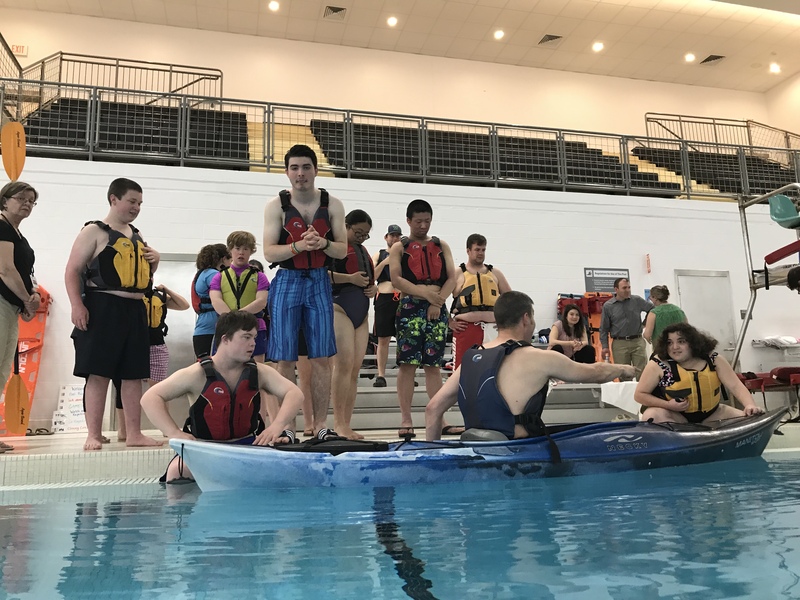 This group challenged themselves in major ways. 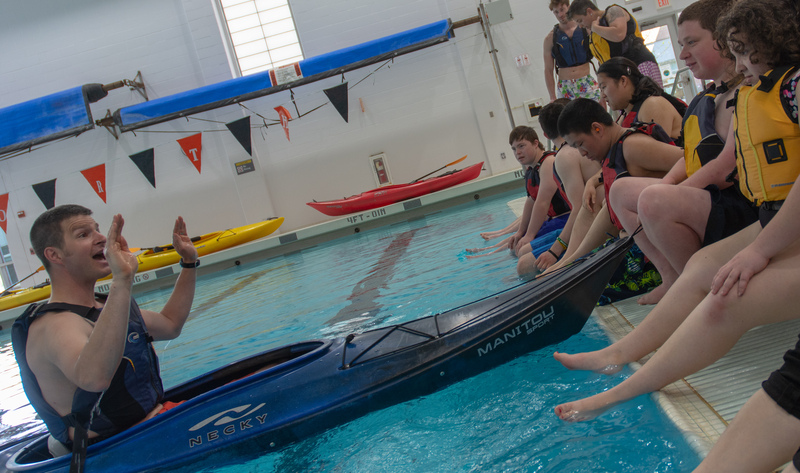 There was even a moment where each student was put on the spot to try to flip their boat over and do a “wet exit” while everyone watched and cheered. 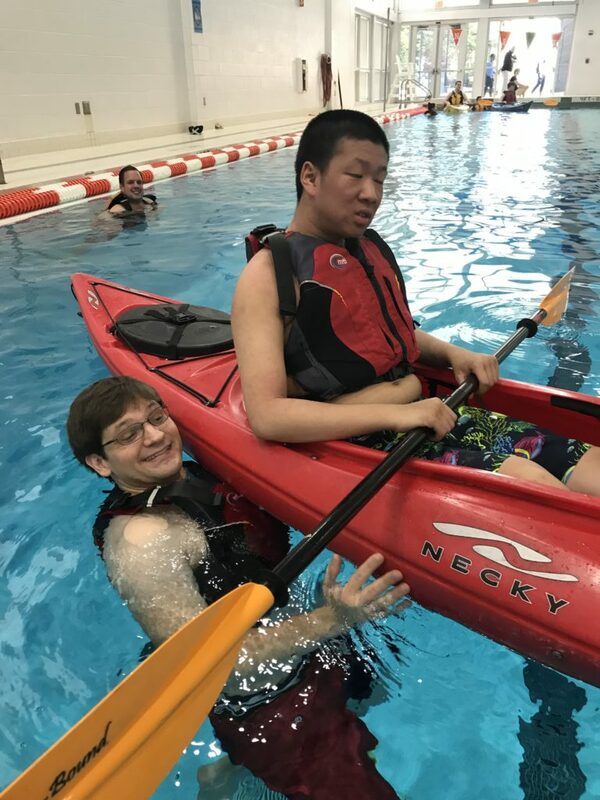 And everyone did it! 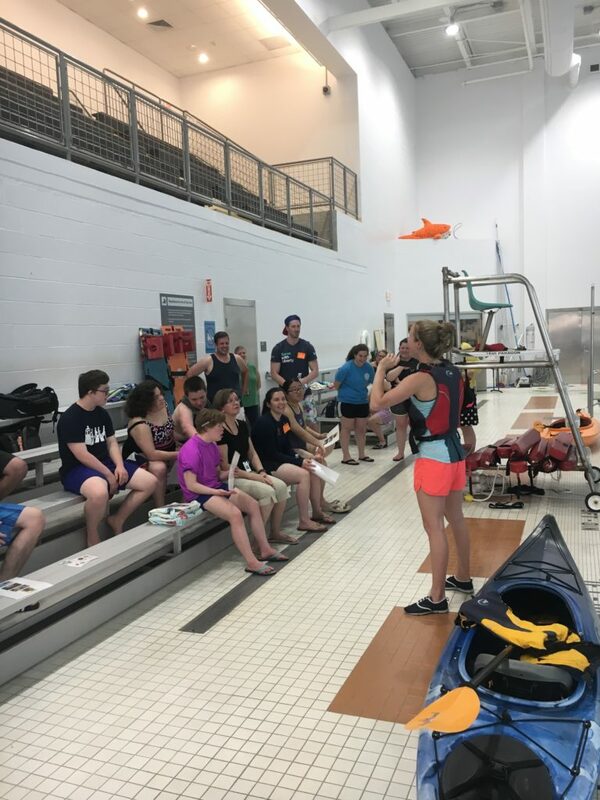 A huge thanks to Village Bank for funding this program and the volunteer team from Liberty Mutual’s “Serve with Liberty”. 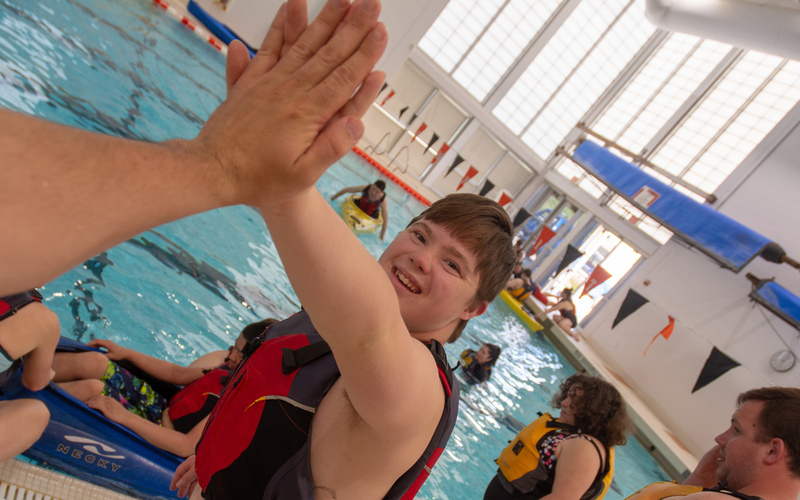 You’re helping make life-learning opportunities happen and contributing to a community that embraces adventure for all!